THE OREGON FAB LAB PROVIDES PROFESSIONAL DEVELOPMENT AND EDUCATOR COACHING USING EQUIPMENT FOR DIGITAL DESIGN AND FABRICATION TO CREATE A NETWORK OF INSTRUCTORS, FACILITIES, AND MAKERS FOR THE 21st CENTURY. For more than 32 years John has dedicated himself to training the next generation as an educator. He has worked tirelessly to provide students with hands-on, contextualized learning experiences and as a result of access to both top-level instruction and industry-standard software with state-of-the-art prototyping equipment, numerous students in John’s classrooms have launched student-run, school-based enterprises. His instructional approach allows students direct experiences with the real-world challenges of designing, developing, manufacturing, and marketing. In 2012, John received the National Center for Women and Information Technology Aspirations in Computing Educator of the Year in Oregon, was featured in a PBS documentary in 2015, and was named a 2016 White House Champion of Change. The Oregon Fab Lab aims to train the next generation of CTE manufacturing / engineering instructors in order to encourage, guide, build emerging programs, and develop a strong teacher co-op. By expanding the state's CTE + STEM network, the Oregon Fab Lab provides crucial support to Oregon's Focus and Priority Middle and High Schools, as well as continued support for CTE Revitalization grant recipients and rural school districts. HEAR WHAT PEOPLE ARE SAYING ABOUT THE FAB LAB! 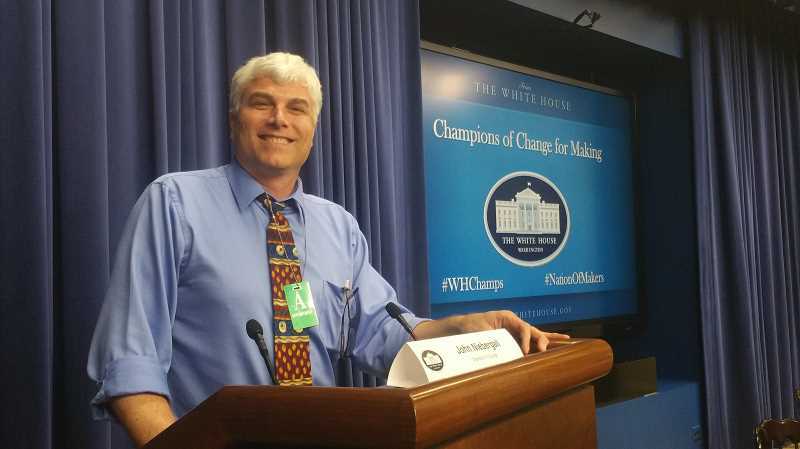 SHS's John Niebergall recognized at White House Friday as one of 10 Champions of Change . . .
Manufacturing-Job Growth Prompts K-12 Training Effort . . .
District receives $490,000 Oregon CTE Revitalization Grant . . . 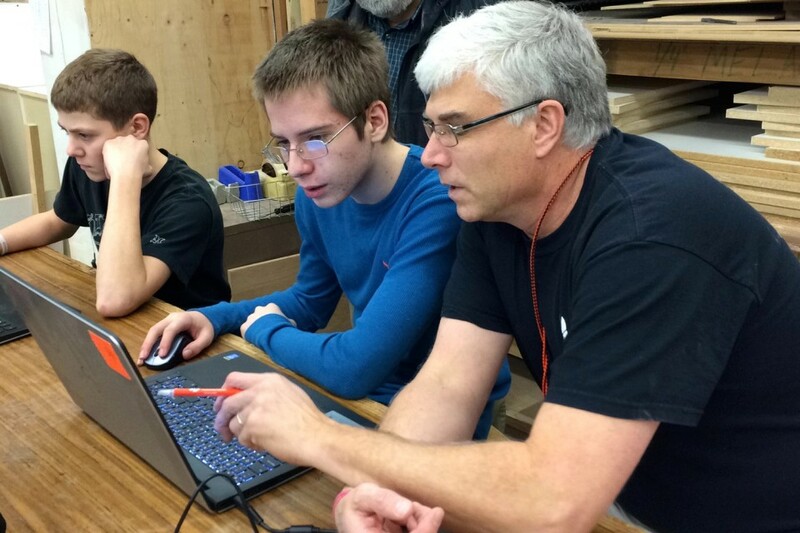 Traveling by RV, Sherwood High School's 'Fab Lab' brings tech education to districts. . .